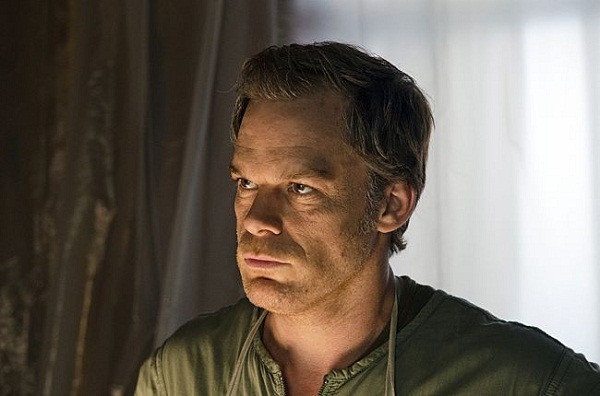 If anyone out there actually goes so far as to ship Dexter and Deb, “Do You See What I See” probably had them grinning with hope because, given a choice between Hannah and Deb, Dexter chose Deb. He did it out of brotherly love, not the lustful sort, but it still says a lot that he would be so quick to turn Hannah in to his sister. Though it’s not as if he had any other option if he wanted to see his sister remain breathing. Hannah nearly killed Deb once already, and it would happen again as long as both were still breathing and not behind bars. 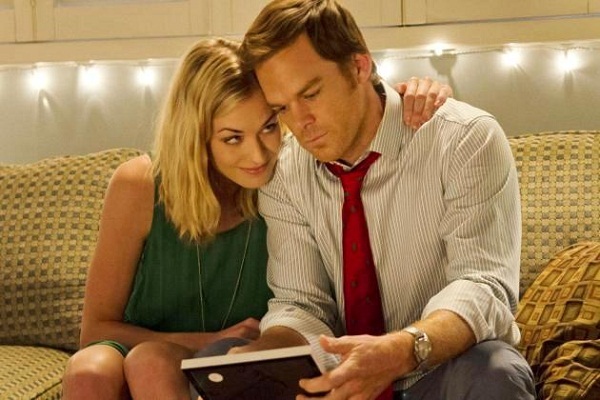 Thus Dexter gave Hannah up, choosing the one constant in his life over the girl he had himself convinced he loved. Dexter chose Deb, which means Hannah is thankfully out of the picture at long last, at least for the time being. Nothing about Dexter’s involvement with her interested me in the slightest. Dexter does love triangles is not exactly what I’d call compelling television. Nor was the reaction on the part of Dexter’s coworkers to the knowledge that he and Hannah were an item believable. Batista giving Quinn a pat on the back for dating a stripper felt rather off, but him reacting the same way to discovering Dexter was dating a woman who may or may not be a serial killer was a stretch of the imagination I doubt anyone could manage. I wonder how they’ll react now that Hannah’s finally been charged with an actual murder. Dexter, we’re so sorry all those things Deb told you about Hannah were completely right. Though now you must know how Deb felt when she dated your brother, only to end up on his kill table. Maybe you two can bond over that and become a couple since who else is going to want your damaged goods? Whatever you choose, even if it’s boning your sister, just know that we’ll support you every step of the way because we’re so blind to your misdeeds and missteps that we don’t see anything wrong with the few we do notice. Jumping back to Quinn and his stripper friend for a moment, I sincerely hope this episode marks the end of that storyline as well. Her up and leaving for another club far away from Miami after standing by Quinn through everything up until that point was another one of the writers’ choices that had me a bit baffled, but I’m okay with that. Quinn and Nadia displayed even less chemistry than Dexter and Hannah, so I say good riddance. Now can the writers just do away with Quinn, too? Have the others in that brotherhood we heard so much about put a hit out on Quinn for murdering one of their own? This way, we can be done with a character who I only paid attention to anymore because I was struck by the fact that, each week, he just looked more and more sickly. If I had to wager a guess, I’d say his character, or the actor himself, was either on drugs or the victim of an eating disorder. Except, even though it intrigues me ever so slightly, I don’t care enough to need the answer. Likewise, I don’t care enough about Batista anymore for his impending retirement to mean anything to me. Honestly, it just makes me wonder why he isn’t retired yet. Stop putting it off and just do it already so there’s one fewer character for the writers to saddle with another of their inane storylines.